Ayurveda, the knowledge of life, is an ancient system of natural healing that has its origins in India. Sometimes, with many Sanskrit words and new principles, Ayurveda can be confusing to learn. In this class a masterful practitioner and teacher, one who has helped thousands of clients over many years, will take you step by step through the basics and beyond, grounding you in practical knowledge and a philosophy of living. Jonathan Glass guides us in this class to learn… or remember… a beautiful, powerful and commonsense approach to health and healing. This live online class is for anyone interested in holistic living or is already a holistic health practitioner of any kind. Each week covers foundational Ayurvedic principles, taught in a way that is applicable to our modern daily lives. You’ll learn essential principles and obstacles. Once understood, positive options will also be offered. Ayurveda is becoming more and more popular in western culture as many find its teachings intriguing. However, without understanding its fundamental principles and knowing how to apply them, Ayurvedic teachings easily become lost. This course offers a lucid and broadminded perspective on real health – open to everyone and perfect for the yoga and health enthusiast, and for any holistic health practitioner. With Ayurveda’s commonsense knowledge gained, you will also be able to apply its principles and practices to your life. Learn and integrate commonsense Ayurvedic tips for optimal weight, stress reduction, pain relief, improved sleep and better relationships. Improve energy, vitality and expand consciousness for a happier and more successful life. Click here to "Look Inside"
5 to 10 minutes check in…30 minutes lecture…20 minutes Q+A… 20 minutes lifestyle practices and 10 more minutes Q+A. Jonathan Glass L.Ac., M.Ac., CHT, Author of the Total Life Cleanse, is a Licensed Master Acupuncturist, Ayurvedic Practitioner, Founder of JivAtma Energy Healing, Certified Hypnotherapist, Herbalist and Natural Health Educator. He served on the faculty of The Dharma Institute of Yoga and Ayurveda and the New England School of Acupuncture. 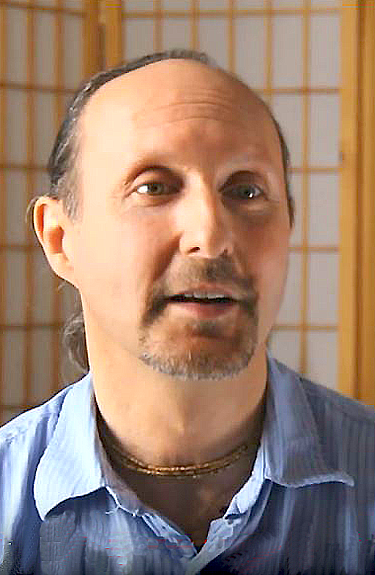 Jonathan has helped thousands in his private practice since 1987 and presently practices and teaches in at his center in Concord MA, as well as at numerous yoga schools locally, throughout the US and online. Click here to view the full Bio.